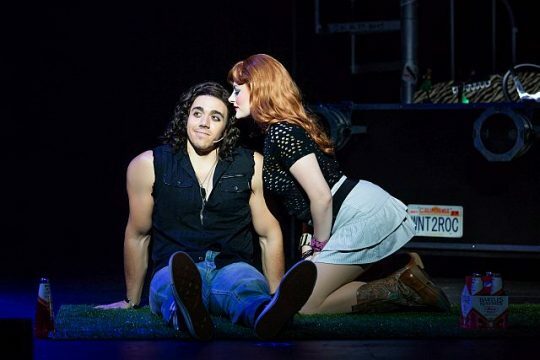 How you feel about “Rock of Ages,” a classic rock “Jukebox musical” now in Chicago, depends on whether you saw the original show ten years ago and liked it or if you don’t mind and even appreciate that this version is a parody of itself. At the Nederlander Ttheatre (formerly Oriental) through Aril 28 2019, the current show is taking its 10th anniversary tour through the U.S. with more flashing concert rock-band lights and amps than when it came out in 2009. 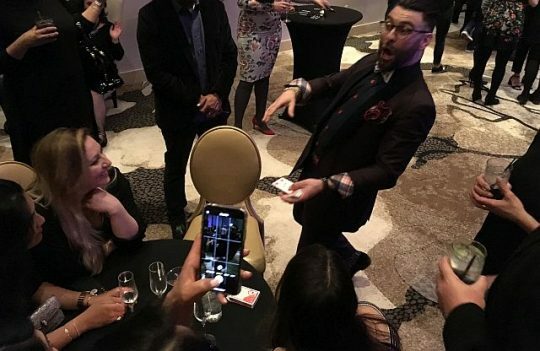 For those of you interested in surveys and statistics three out of the five top traveler-ranked places of interest in Chicago are magic shows. By the way, the blockbuster theater experience, “Hamilton,” is ranked number two with “Jazz Showcase” and “Lyric Opera” at six and seven respectively followed by Chicago Symphony and The Shakespeare Theater. So based on travellers willing to take the time to leave a review and rank their performance experiences at Trip Advisor, “Magic Penthouse” falls in as number five in the top ten. If you are a fan of prestidigitation, magic impresario and Munich native, Sin Ordu and his troupe of tricksters and spellbinders will keep you thoroughly engaged and entertained for roughly two and a half hours. This is a unique total post-dinner evening package that includes entertainment, ample adult beverages, and a smattering of appetizers for one fixe prix. Doors open at 8 p.m. The festivities begin with a mix and mingle cocktail reception featuring an open bar and plenty of sparkling wine pre-poured and ready to go. The atmosphere was upbeat with an air of eager anticipation from the guests. Interestingly, there was plenty of interaction between guests as we managed to enjoy short conversations with three or four other couples including the very tall and mysterious “Mr. Johnson,” also a pleasant conversation with one Stetson-hat/ostrich-leather-boot adorned “dude” from the Northshore named Nick. 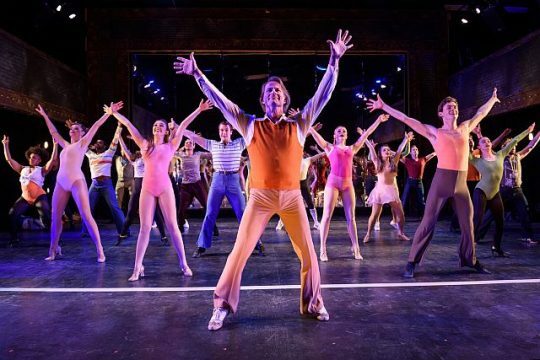 Not sure how many times I’ve seen ‘A Chorus Line,” but director Brenda Didier and choreographer Chris Carter’s version now at Porchlight Music Theatre, is not a copy. It goes back to director Michael Bennett’s concept to present the story behind who are the dancers/singers in a musical’s chorus line. Rightlynd is Holter’s fictional ward in Chicago. When guests enter Owen’s lobby they see a colorful board map of the neighborhood with places and names that have been mentioned in the saga’s plays that precede “Lottery Day.” Maybe a copy of that map ought to be in the playbill. 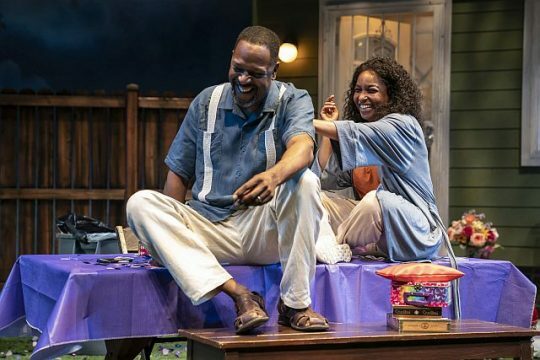 If you think of playwright Ike Holter’s “Lottery Day,” the seventh play in his Rightlynd saga, from an opera format view point, you may not mind that you don’t hear what the characters are saying when they all talk at the same time. Maybe, just consider it a duet or blending of emotions and voices. According to Holter’s comments in Goodman Theatre’s On Stage Q&A the cadence and very fast dialogue beats in his series are deliberate. I understand that. But when watching “Lottery Day,” now in its world premiere at Goodman’s Owen Theatre, I felt I needed to actually hear what they were saying to help me define each character’s place in the story, their concerns and background. Expect the unexpected when it comes to what’s happening in and around Chicago. Here are three items that add fun to spring. Try to stop by the Museum of Contemporary Art’s store by April 11, 2019. Up on the second level of the store are about 100 unusual, expensive, street and art culture items on display that can be bid on through Heritage Auctions. The items include a pair of “ Back to the Future II” shoes designed by Nike that have an auto-lacing system activated by the wearer’s weight on the sole. They were worn by Michael J. Fox as Marty Mcfly. There are also Jeff Koons’ “Balloon Animal Series, “Sunflowers by Ron English and items by Yayoi Kusama, Takashi Murakami, Damien Hirst and other artists. The MCA, located at 220 E. Chicago Ave., is closed Monday, open otherwise at 10 am. Fri and tues until 9 othewise until 6. For more information call 312-397-4000 and visit MCA Chicago/Urban Art. 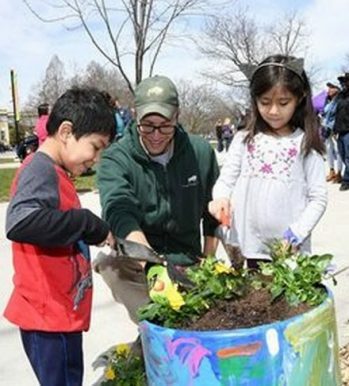 Brookfield Zoo is celebrating our planet April 14 from 10 a.m. to 3 p.m. with crafts, Zoo Chats, planting activities and recycle drop-off containers. Tree planting is at 11 a.m. and then pansies are planted near the Hamill family Play Zoo until 12:30. An Eco Expo of 20 organizations including the Lincoln Park Zoo Shedd Auarium and Indiana dunes National Park, will be stationed on the North Mall. The Party for the Planet is presented by Nicor Gas’ “energySmart” program. Some of the other activities are meeting zoo animal ambassadors near the Carousel from 10:30 a.m. to 1:30 p.m., a chat about bears in the Great Bear Wilderness at 11 a.m. and learning about the black rhino in the Pachyderm Building at 2:30 p.m.
As to recycling, the zoo will take electronics, textiles, and household hazardous waste items.on April 13 until 3 p.m. then electronics, textiles and paper (for shredding) April 14, from 9 a.m. to 2 p.m. Free parking in the North Lot, 8400 31st Street (First Avenue and 31st Street), Brookfield, is offered to visitors with one or more approved items to recycle on either day. There will be a drop box for electronic items such as cell phones, cell phone accessories, pagers, hand-held electronic games, e-readers, laptops, iPods, iPads, tablets, and MP3 players (sent to Eco-Cell for recycling). For approved items visit CZS.org/PartyPlanet . Items have to be brought unboxed with no excess packaging. Zoo admission is $21 95 adults, $15.95for ages 3-11 and seniors age 65 and older. Partyh for th Planet activities included in admission except for those inside the Hamil Familyh Play zoo. Parking is $14.00. For additional information call (708) 688-8000 and visit CZS.org/PartyPlanet. 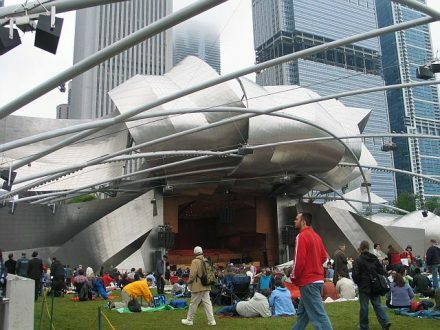 Millenium Park Calendar – copy, paste and keep checking this website for birding, plant events, music festivals and more. Chicago City Markets – The city markets are opening outdoors with fresh produce, baked goods, gifts and demos so check this website for dates and activities . Chicago Riverwalk – find out where the sculptures are, what is happening with the Mart video art, when and where vendors are opening and other activities along the Chicago River at this website. April is filled with things to do and places to go. Some events cater to families, others to adults. Here are a few events to put on the calendar. And yes, go even if it’s in the children category unless specifically stated for ages 5-12. 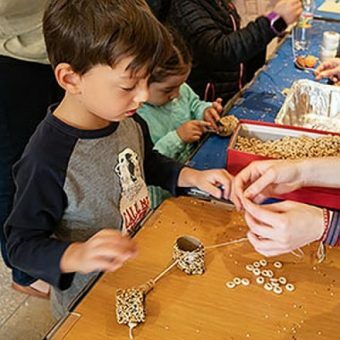 Learn about mummies and ancient “earth day” style practices at two free Oriental Institute Museum April events for ages 5 through 12. First, “Secret of the Mummies” is April 6 from 1 to 3 p.m. To register visit Evenbrite Secret of the Mummies Tickets. Second, is “Ancient Earth Day” April 27, also from 1 to 3 p.m. To register visit Evenbrite Earth Day tickets. The Oriental Institute Museum is at 1155 E. 58th Street, Chicago, IL For more information than what is found above in “Mummies” and “Earth Day” call the Oriental Institute’s Public Education Office at 773-702-9507. Chicago Botanic Garden is holding a hands-on science fair with seeds, flower pollination and other activities on April 13-14, from 10 a.m. to 4 p.m. Some activities such as making your own seed necklace and how to see it sprout are free. There is a parking fee for nonmembers. For details visit Chicago Botanic Garden Science Festival. The Chicago Botanic Garden is at 1000 Lake Cook Rd., Glencoe just east of Edens Expressway. Huge trolls have populated the Morton Arboretum and will still be around to check them out if visiting during the Arboretum’s daily Arbor Day activities in april and special Arbor Day events April 26-27. 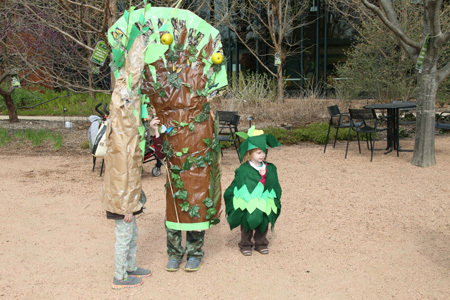 Anyone dressed as a tree on April 26 will be admitted free. For admission and hours visit Visit-Explore. The Morton Arboretum is at 4100 IL Hwy 53, Lisle. Lyric Opera of chicago celebrates its Ryan Opera Center with the Rising Stars in Concert April 7 at 2 p.m. Sopranos Whitney Morrison, Emily Pogorelc and Ann Toomey will be singing arias, duets and other pieces with Mezzo-soprano Kayleigh Decker, contralto Lauren Decker, tenors Eric Ferring Josh Lovell and Mario Rojas along with baritones Christopher Kenney and Ricardo Jose Rivera plus bass-baritones Alan Higgs and David Weigel. Pianist is Madeline Slettedahl. The Lyric Opera of Chicago is at 20 N. Wacker Drive. For tickets visit Lyric Opera concert/tickets or call 312-827-5600. 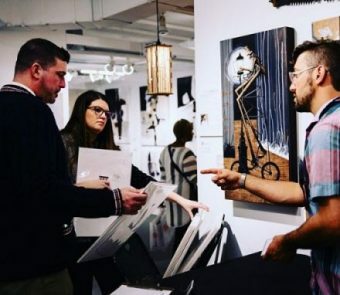 The One of a Kind Show, open to the public (as opposed to the trade) takes place at the Merchandise Mart in early winter in time for the holidays and mid-spring in time for Mother’s Day. This Spring it happens Ap;ril 26, through April 28. Handmade items range from paper, ceramics, paintings and photography to jewelry, sculpture, fiber Art, meta, glass and wood. Plus there are gourmet treats for sale. The Merchandise Mart is at 222 Merchandise Mart plaza between the Chicago River and Kinzie and between Wells and Orleans. For tickets visit One of a kind/spring/tickets. Green City Market opens in Lincoln Park May 4. A popular farmers market that features chef demos, fresh produce and many local products, operates Saturday and Wednesday through Oct. 26, 2019 from 7 a.m. to 1 p.m. The Green City Market in Lincoln Park is at 1817N Clark St. For more information, visit Green City Market. 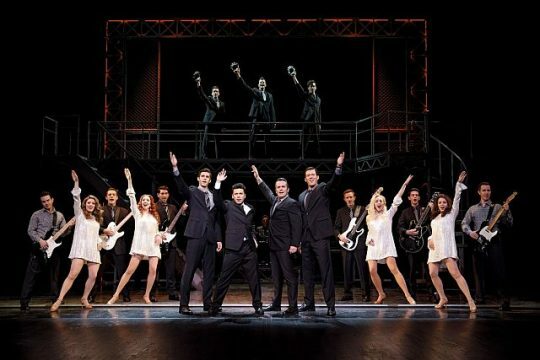 Opening in New York in 2005 and winning the Tony and Grammy Awards for Best Musical in 2006, “Jersey Boys” has now been seen by more than 25 million people. And I’ll bet that some have seen it more than once—like I have. The book, “Jersey Boys,” was written by Marshall Brickman and Rick Elice. Amusing dialogue is interspersed with the tremendous songs that keep the audience laughing. Directed by Des McAnuff, “Jersey Boys” is the story of Frankie Valli and The Four Seasons—four guys from New Jersey who weren’t known at all until they started singing outdoors on a corner. And once they did, their songs became more than popular and played on radios every day and night. 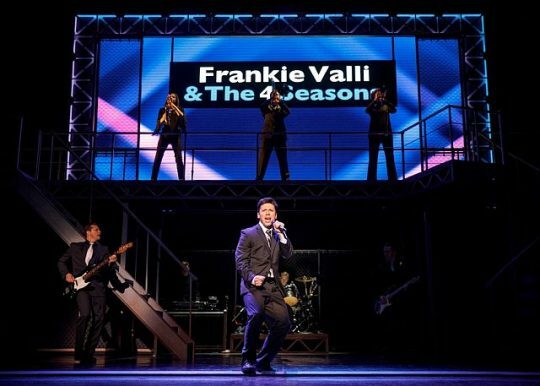 The songs by The Four Seasons in “Jersey Boys” not only bring back so many memories, but have younger audience members swinging and swaying in their seats. Songs such as “Walk Like a Man,” “Sherry,” “Working My Way Back to You,” “Rag Doll,” and “Big Girls Don’t Cry,” hook-up with the musical’s story of a gang leader with a money problem that involves the mob and the record industry, along with many things that relate to true friendships and loving relationships. The original Four Seasons were Bob Gaudio, the musical composer played by Eric Chambliss, Frankie Valli, played by Jonny Wexler, Nick Massi, played by Jonathan Cable and Tommy DeVito, played by Cory Greenan. The lyricist and producer, Bob Crewe, is played by Wade Dooley. “My Boyfriend’s Back” is sung by the Angels portrayed by Ashley Bruce, Chloe Tiso, and Jessica Wockenfuss, all of whom also play other female roles. The rest of the fabulous cast is Tony L. Clements, Caitlin Leary, Jeremy Sartin, and Kit Treece. Many of the cast members move on stage as they play musical instruments. DETAILS: “Jersey Boys” is at the Auditorium Theatre, 50 E. Ida B. Wells (Congress Pkwy. at Michigan Avenue), Chicago, through April 7, 2019. Running time: 2 hours and 45 minutes with one intermission. For tickets and other information, call Ticket Master at 1-800-775-2000, or visit BroadwayInChicago. 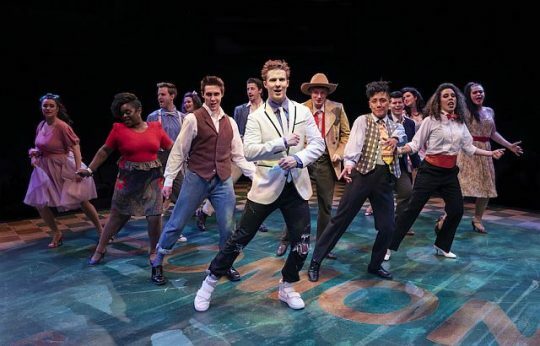 Author Jodie JacobsPosted on April 4, 2019 April 4, 2019 Categories Francine Pappadis Friedman, Guest Reviewer, Musicals, Reviews, TheaterTags Auditorium Theatre, Broadway In Chicago, Jersey Boys, Jodie Jacobs editor, TheatreInChicagoLeave a comment on Oh what a night! 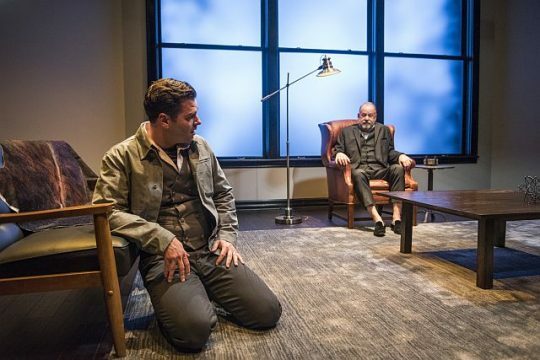 During the course of “A Number” at Writers Theatre, Glencoe, a father admits he was an awful parent the first time around as his sons try to extract the full story of their existence. It’s sort-of a two person play with stage veteran, actor/director Nate Burger (Writers Theatre, Americanh Players Theatre, Timeline) as the father, Salter, and popular Chicago actor Nate Burger (Chicago Shakespeare, Timeline, Goodman) as Bernard, his sons, 1, 2 and 3. The play is only 65 minutes long but its high intensity acting and twists made it feel as if I sat through two hours of a suspenseful drama. 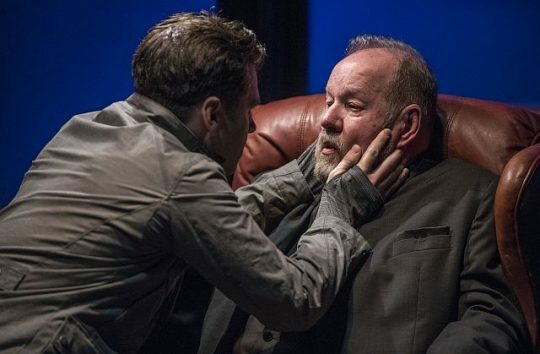 Eerie music and lighting enhance Robin Witt’s spot-on direction of clipped responses from the father in contrast to the emotions of Salter’s original and cloned sons. Yes the show, written by Caryl Churchill back in 2002 when copying mammals’ DNA and genetic make-up was in the news, is about cloning. It’s also about examining uniqueness, identity, upbringing, abandonment and truth. Salter, who felt he was not a good father the first time around, wanted to try again from scratch. He had scientists clone his first son so he could be a better father the second time. What happens on how the son and clones react will be a surprise therefore there will not be an alert here. You have to go to find out. But a word of warning. Don’t believe most of what Salter says. The real story emerges from the mist of his twisted mind in bits and pieces. DETAILS:”A Number” is in the Gillian Theatre of Writers Theatre, 325 Tudor Court Glencoe through June 9, 2019. Running Time: 65 minutes, no intermission. For tickets and other information call 847) 242-6000 and visit Writers Theatre. There is plenty to like about this Broadway in Chicago theatrical extravaganza. It is loosely based on the true story of a woman who claimed to be the surviving daughter of Czar Nicholas II of Russia and whose family was assassinated along with him by the Bolsheviks following the Communist uprising in July 1917. 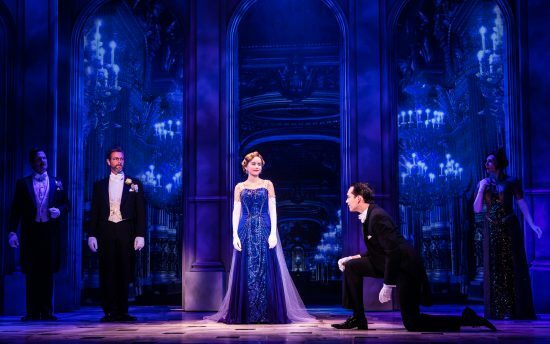 But don’t worry this version of “Anastasia” has little to do with reality. Inspired by the Twentieth Century Fox animated film (later acquired by Disney Corporation), it refers to the tragedy but is scrubbed clean of most of the ugly parts, leaving behind the tale of a young, beautiful and strong heroine striving to find her true identity while struggling to come to terms with her inner princess.